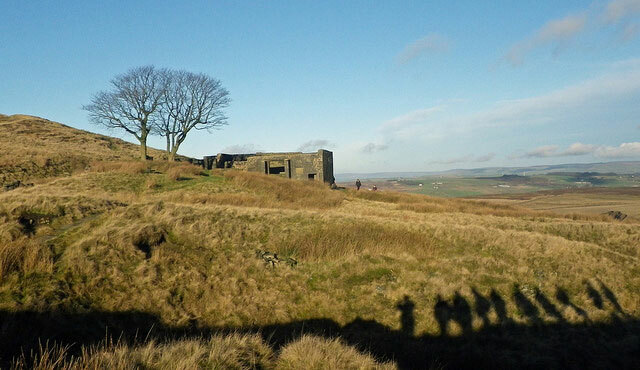 Top Withens, where Wuthering Heights was set. I’ve been discussing feminism in Wuthering Heights with a friend recently and thought it would be a good idea to share some of my rambling thoughts with you all since it’s such an interesting subject. My first reaction when I was presented with the question of feminism in Wuthering Heights was that Catherine is a strong female character, but is she really? On reflection, I have decided that Isabella is actually quite a bit stronger than Catherine, despite the fact that she is portrayed as a silly and frivolous girl throughout the novel. Most of us are probably aware of the symbolism throughout Wuthering Heights and it is clear that Catherine and Isabella are intended to be mirror images of each other. Isabella is fair while Catherine has dark hair. Isabella is born to a rich family and marries down while Catherine is poor and marries up. Catherine is ‘a wild thing’ while Isabella is the epitome of a cultured lady. They both chose their husbands poorly but their husbands are poor choices for very different reasons. Up until this point, they seem to be opposite sides of the same coin. It is the way that they react to their bad marriages in which they differ. This is where I argue that Isabella is much stronger than Catherine and more of a feminist. In the Victorian era, everything that Heathcliff did to her was perfectly legal. He even states that “I keep strictly within the limits of the law. I have avoided, up to this period, giving her the slightest right to claim a separation” (Brontë, 186). Divorce was illegal then and Heathcliff was well within his rights to go and get her when she ran away and do whatever he deemed fit, including keeping her child from her. She would have been shunned as a single mother in that time, even by the lower class, and she must have worked hard to support herself and her son until she died of a physical illness. On the other hand, Catherine tried to gain control of her life by marrying Edgar, then when she still couldn’t have things her own way she drove herself mad. And then continued to act like a child as a ghost. I will always love Catherine as a character, but you have to admit, she was a bit of a spoiled brat and used men to get ahead in life. So, I have to conclude that Isabella is a much stronger feminist role model than Catherine ever was. Strength is often a lot more understated than we imagine it to be. It’s easy to be loud and headstrong and throw tantrums when we don’t get our own way like Catherine did. But it is Isabella who showed true strength and determination by fleeing her abusive marriage and raising her son on her own until the day she died. Catherine’s daughter, young Cathy, may be the only female character to attain the feminist ideal. In the end, she marries for love. Her marriage is a true partnership built on love, trust, and respect. Or perhaps it is Nelly? While she does have a master and responsibilities, she is beholden to no one. She often makes her own arrangements and does have some degree of choice in where she works and lives. I’d love to hear your thoughts on feminism in Wuthering Heights!